Ancient Astronauts or Alien Artifacts? - Page 5 - Aliens, UFOs, & the Paranormal - Chickensomething What Are You Afraid Of? What if it isn't aliens and it's all a big show created and hyped to ad nauseum by men and woman with a lot of money and a god complex? That would suppose an ancient story of unprecidented magnitude has been told to a very few who have lorded it over the rest for a very long time. The artifacts and art work from past civilizations can't be ignored. What were people seeing? What are people still seeing? Besides, the behaviors these things have displayed throughout history are more often than not traumatic to any who encounter them. This doesn't bode well for the overall well being of humanity. In the end, I think these aliens, demons, or whatever you want to call them do not care one wit about human beings. I think they have infected people in an insidious effort to divert all human intention towards what is base and evil. Keeping humanity chained to prevent our better natures from manifesting themselves. 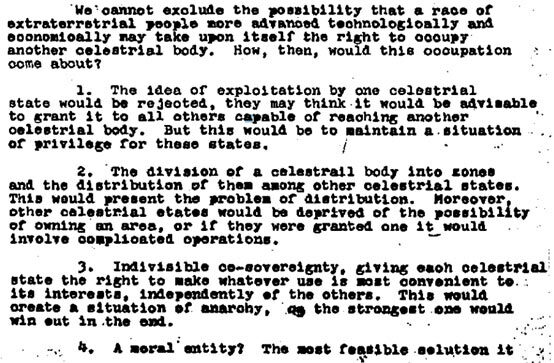 In June of 1947 Albert Einstein and J. Robert Oppenheimer together wrote a TOP SECRET six page document entitled "Relationships with Inhabitants of Celestial Bodies". It says the presence of unidentified spacecraft is accepted as de facto by the military. It also deals with the subjects that you would expect competent scientists to deal with - i.e., where do they come from, what does the law say about it, what should we do in the event of colonization and/or integration of peoples, and why are they here? Finally, the document addresses the presence of celestial astroplanes in our atmosphere as a result of actions of military experiments with fission and fusion devices of warfare. When each page is shown just press your pause button to read the page at your leisure. The analysis presented by Oppenheimer and Einstein indicates that ‘disclosure’ of extra-terrestrial existence could cause irreversible damage to society, raising the possibility that our governments today may already know of extra-terrestrial existence but have considered the same issues raised by Oppenheimer and Einstein and ruled against disclosure. If the population is told that intelligent extra-terrestrial beings not only exist but have been visiting our planets for thousands of years, being confronting with such evidence could cause upheaval in the domains of religion, society, law, and finance which, if not addressed properly, could bring chaos to the planet. In the meantime, it seems that the most sensible approach is to keep an open-mind. 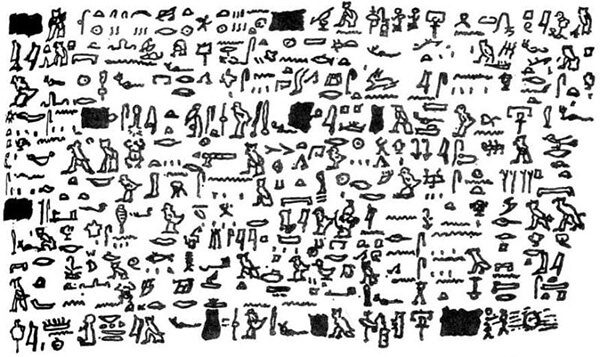 It is usually the case that a debate rages between two opposite extremes – one side wants to believe wholeheartedly that the cave art and mythological accounts are all descriptions of alien encounters, while the other side is so prepared to disbelieve that anything exists beyond the scope of their reason that they will ignore even the most blatant rendition. If scientists can overcome the ridicule and disparaging remarks that come with exploring the subject matter, perhaps one day we will find irrefutable evidence that UFOs and extra-terrestrials do exist. In October 2016, several British tabloids published a photograph of a silver coin of uncertain size with a Greek inscription. The coin portrait depicts a gaunt draped bust resembling a so-called “Grey alien”. Grey aliens are extraterrestrial humanoids associated with contemporary UFO mythology. The source of the image is credited to the UFO web site mysteriousearth.net, where discovery of the coin is ascribed to a “group of people who worked on the renovation of a house in southern Egypt”. It is clearly a hoax. The lack of any attribution (weight, dimensions, date, image of the reverse, etc.) raises the level of suspicion to an astronomical level. My first impression is that this was a real coin or medallion extensively tooled in order to turn the portrait of a ruler or deity into the likeness of an alien - like an elaborate “hobo nickel”. Hobo nickels are American five-cent pieces that have been carved and tooled, often with great skill, into novel or startling forms. The craft became popular during the Great Depression (1929 – 1939) among “hobos”, (homeless itinerant workers who had a lot of time on their hands). Why would anyone create such a fantasy coin? My first thought was that the object was a deliberate forgery intended to deceive gullible collectors, but on reflection it became clear that no serious collector would be taken in by such an obviously tooled fake. Could it have been the creation of UFO enthusiasts, attempting to fabricate evidence for “Ancient Astronaut” theories? I've tied together a few threads to create one thread to discuss aliens throughout known history.